Media Kit - Alphorngruppe "Alpentraum"
The Alphorngruppe "Alpentraum" (German for ‘"Group of Alphorns" and "Dream of the Alps") are amateur musicians who have come together because of their appreciation for and desire to play the ancient wind instrument. 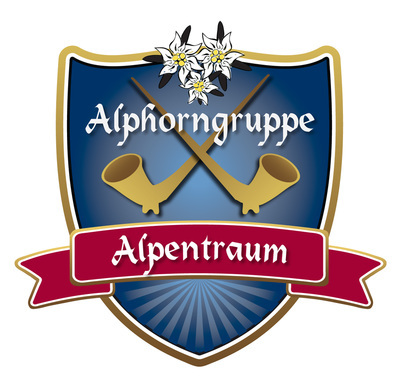 Although the Alphorn is the Swiss National Instrument, its origins predate modern national boundaries. 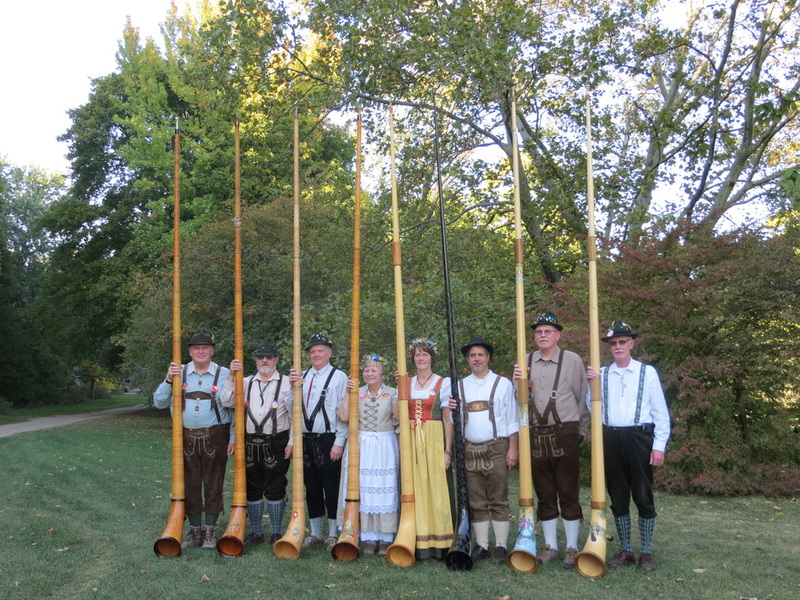 The traditional instrument was carved from trees growing on mountainsides in areas of the Alps which run through many countries. The group plays 12 foot long instruments pitched in the key of "F" which capable only of the 16 notes in the Overtone Series. This is because, unlike modern brass instruments, there are no valves to alter the length. 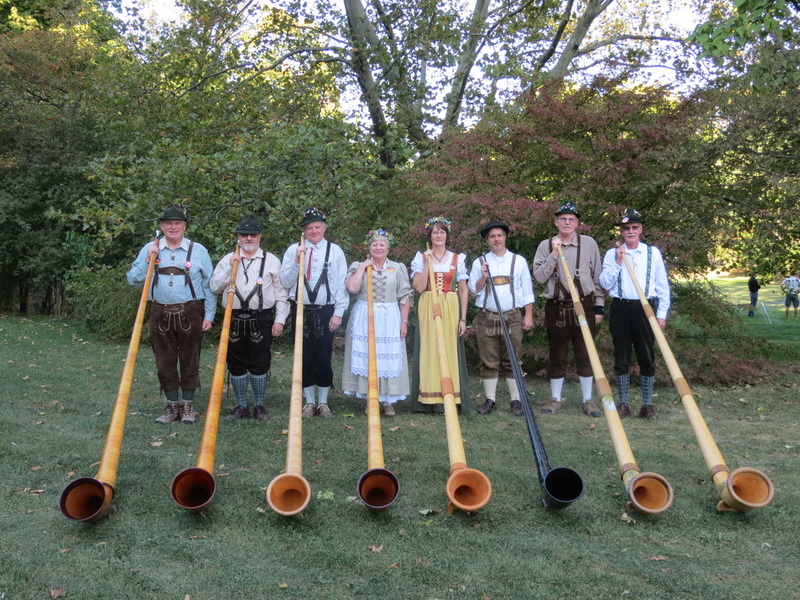 Their repertoire includes fanfares, marches, dances, peaceful calls to the mountains and even a few humorous numbers. 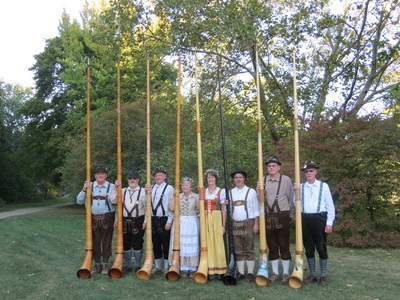 Their music, along with their traditional Folk Costumes, are a unique experience with old world European Flavor. They’re an Oktoberfest favorite at events all over the Midwest and have even appeared at the Downtown Disney Oktoberfest in California. Please use the logo or photos below in your advertisements.